LOOK AT MY AWESOME NANOBOTS! They are ready for Halloween! 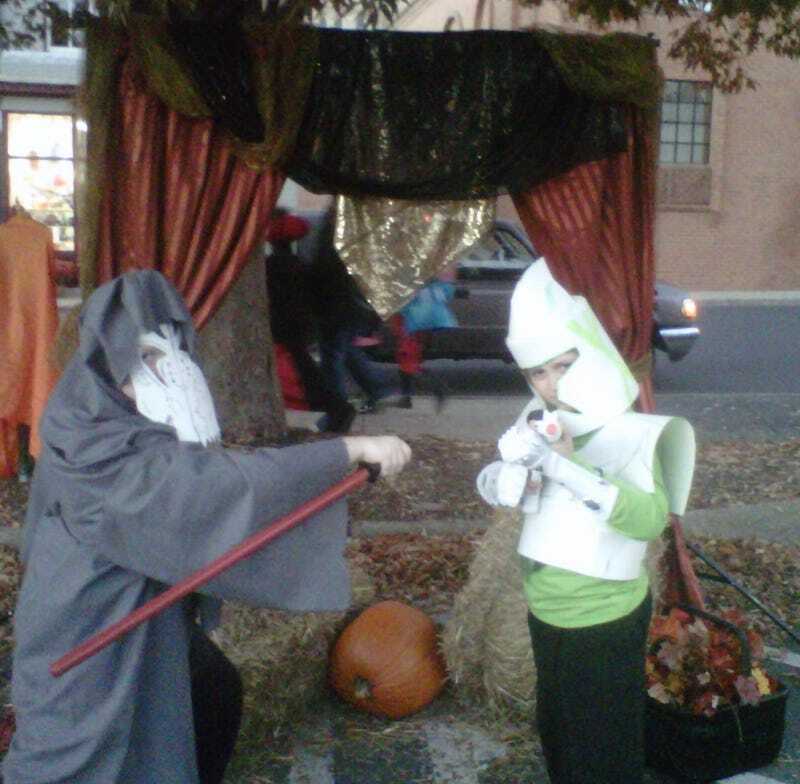 The little one is a Clone Trooper (with an extensive back-story involving Jedi training) and the big one is a Kaleesh Warlord Jedi who has a red lightsaber because he took it from a Sith as a trophy. He also has an extensive backstory. Their father an uncle helped them with the costumes, but they do all of the designing and artwork themselves. Aren't they bitchin'?